Discover the Bay Area’s best kept secret: Angel Island Tiburon Ferry’s Sunset Cruises on San Francisco Bay. Angel Island Ferry Sunset Cruises run Friday & Saturday evenings from 6:30 p.m. – 8 p.m.
Book your Tiburon Sunset Cruises online here. Angel Island Ferry’s Sunset Cruise season begins Saturday, May 18, 2018, and runs through Sunday, October 14, 2018. Please note there will NOT be a Sunset Cruise on June 22, 2018 and September 28, 2018. Relax…on an Angel Island Ferry Sunset Cruise. Enjoy a truly unforgettable experience on San Francisco Bay! Indoor/outside seating and a full bar is available onboard for your cruising pleasure. 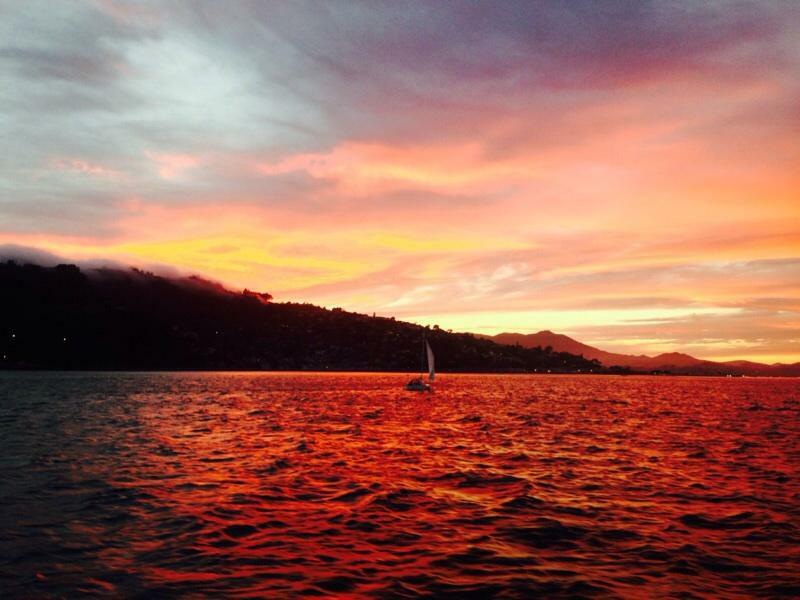 Book your Angel Island Sunset Cruise online today! Angel Island Tiburon Ferry’s Sunset Cruise is a California experience not to be missed. 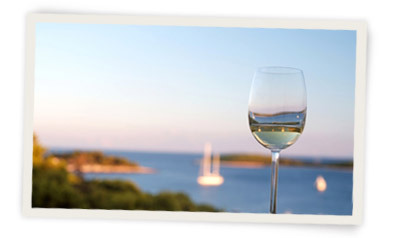 Our return Sunset Cruisers really enjoy the ability to BYO wine and sunset picnic to enjoy while taking in the sights. Feel free to pack appetizers, a casual picnic dinner, or pick up a few nibbles at one of the gourmet shops in Tiburon. Oh, and don’t forget bring along your favorite bottle of wine and beverages – we’re cool that way, and there’s never a cork fee charge. Dress comfortably and in layers, and once on board, be prepared to sit back, relax and take in the sights on an Angel Island Ferry Sunset Cruise in paradise. Want to host a party for a large group or event? You can also email Angel Island Ferry’s Private Charters at: info@tamalpaischarters.com – and we’ll help you plan the perfect party on San Francisco Bay that will be talked about for years to come.